Suit up, strap in and get ready for the 2017 GTA Online Stunt Race Event, featuring 15 brand new Stunt Races plus Double GTA$ & RP across the full spectrum of Rockstar Created and Rockstar Verified Stunt Races. Find the Stunt Series icon to quickly jump straight into the racing action and claim the dashing Pink Jock Cranley endorsed Stunt Jumpsuit just for logging in. 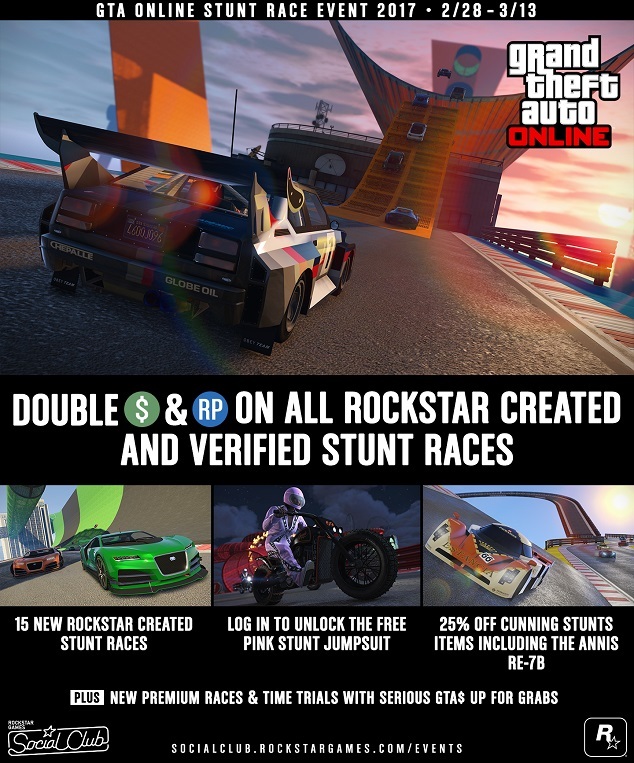 To reward adrenaline junkies for their bravery (and lunacy), we're offering Double GTA$ & RP on all Rockstar Created and Verified Stunt Races from today through March 13th. There's no point in barrel-rolling through a ring of fire while flipping off your adversaries unless you look the part while you're doing it. Tackle the new Stunt Races in style with the Pink Stunt Jumpsuit, a free unlock for all who log onto GTA Online at any point between now and March 13th. And for multi-tasking Stunt Racers with fledgling criminal enterprises, invest your hard earned 2x GTA$ into a Vehicle Warehouse for 25% off, which brings missions to steal and deal vehicles for a profit and unlocks access to Special Vehicles. Launch Premium Races through the Quick Job App on your in-game phone or via the yellow corona at Legion Square. 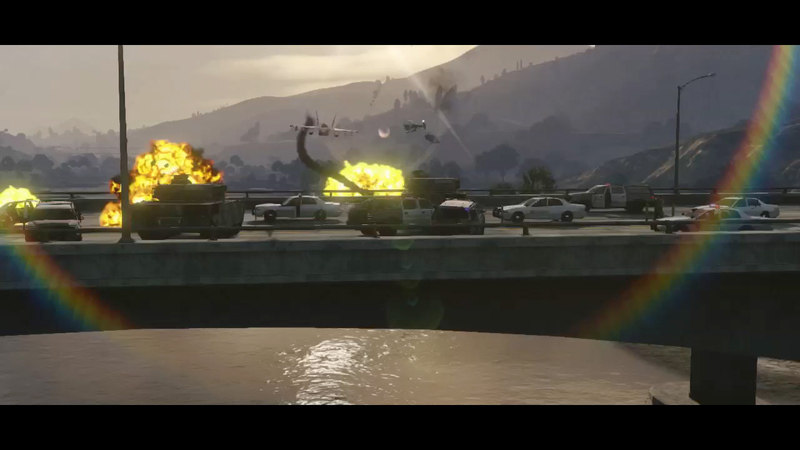 Premium Races pay out GTA$ winnings for the top 3 finishers, and all racers receive Triple RP. • 2/27 - 3/5: "Up-n-Atom"
• 3/6 - 3/12: "Maze Bank Arena"
New Races, Stunt Suit, Bonuses - 15 new stunt races now available and this week's bonuses and discounts.